For the final few days of our time in Scotland last summer we stayed at a B&B in the small community of Ardfern with a rather eccentric host (who has since sold the B&B). Here are some of the highlights of our time exploring the local area. 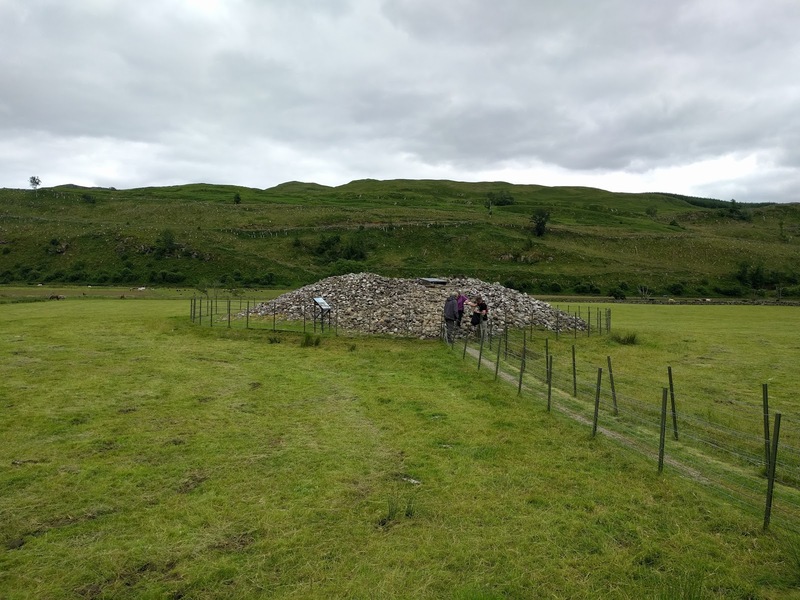 One of the first and most memorable things we did was a guided walk of the neolithic (mainly burial) sites in Kilmartin Glen. The guided walk started and ended at the Kilmartin Museum and we spent a couple of hours being guided round the glen by some very friendly locals. 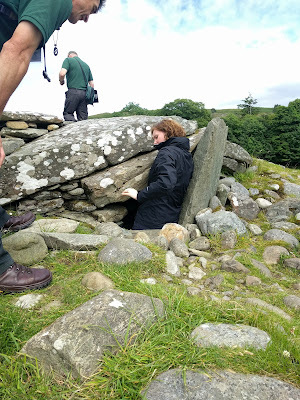 The glen is packed with incredibly well preserved neolithic remains. I can't remember many fact from the walk now, but I do remember enjoying it at the time. They take a limited number of people on the walks and regularly hit capacity so it is worth getting your name onto the sign up sheet early in the morning and then coming back for the walk in the afternoon. 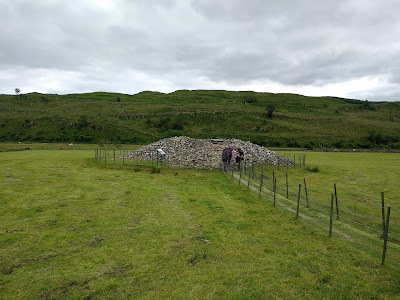 Not to far from Kilmartin is the small settlement of Crinan. 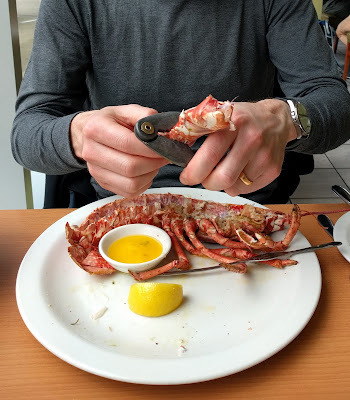 We visited twice, once during the day to go for a walk along the canal and then we returned in the evening for dinner in the seafood bar at the Crinan hotel which is well known locally as one of the best spots in the area for seafood. Having ticked langoustine off my list in Islay, this time I ordered a plate of scallops which was another item on my holiday check list. Taking advantage of the long summer days up in Scotland we stopped for a walk in the Knapdale forest on the way home from Crinan. 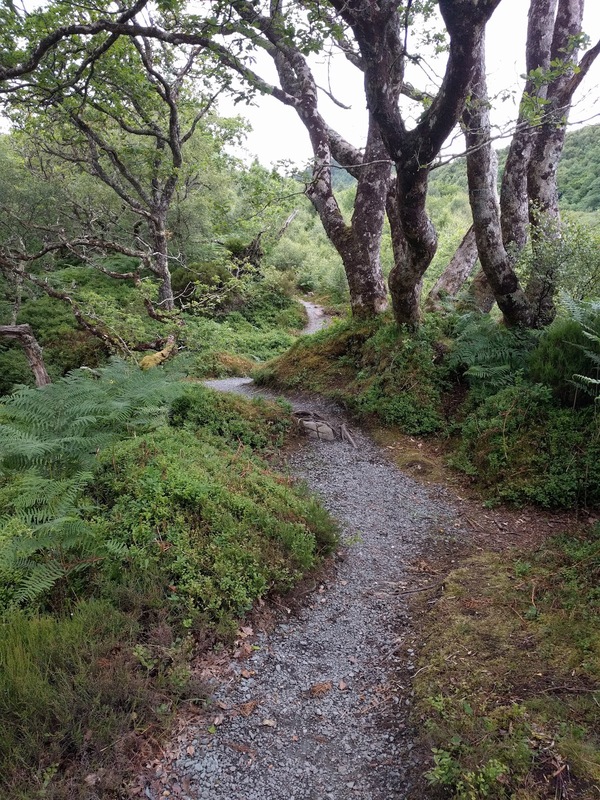 The forest is the site of trial to introduce beaver colonies back into the wild in Scotland. We didn't spot any of the beavers, but did see some of their dams and had a pleasant walk round the forest on some of the trials. On another long day out and about we started of by looking round the Arduiane gardens (lovely, but we were a bit out of season) before heading up to Oban. Compared to the rest of our trip Oban was tourist central with lots of overseas visitors around. Oban is clearly a tourist hub and a gateway to some of the outer islands. We had lunch at Eeusk (lobster, the final tick on my seafood wish list) on the waterfront and a quick look round the centre of town before jumping into the car again and heading to Easdale island, a delightful, if slightly odd experience. The tiny island of Easdale can only be accessed by a small ferry which only takes foot passengers. When you arrive on the island, the first thing you see if an assortment of wheelbarrows that the locals use to transport their shopping from the ferry back to their houses. The island is covered in abandoned slate mines and was clearly a hub in the activity in its day. The only thing to do on the island is to have a walk around some of the abandoned mines and through the small settlement near the ferry. The island was very idyllic but it must be a tough live living on the island, exposed to the weather and only able to access your home via a small very. I suspect everyone that lives there must do it because they love the island.